Amazon shares are seeing a pretty unpleasant decline, and have turned negative for 2011. After reaching all-time high at $246.71 in mid-October, shares of the online retail giant hover around the $180 mark, briefly touching $170 yesterday. That's about 30% slide, way worse than the broader market. While Amazon unveiled novel products like the Kindle Fire tablet and other new appearances in the Kindle lineup, and online sales picked up like never before this year for the holidays, investors are very worried about Amazon's pricing strategies. 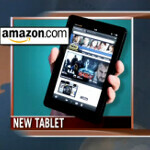 The Kindle Fire, for example, is sold at cost, if analysts are to be believed, and Amazon hopes to make a dime on selling its products and services, using the $199 tablet as a gateway to the Amazon ecosystem. That strategy has been tried many times before, be it outside the tablet market, and sometimes it works, sometimes it doesn't, not to mention numerous teething problems users are having with their slates. Nothing guarantees that Amazon's Kindle Fire and other ventures will pay off, but Jeff Bezos's hubris, so investors are jittery, and they might have a point. In the short run Amazon's profit margin will surely take a hit because of its aggressive pricing strategy and R&D expenditures, while in this day and age the long run looks all too distant, hence the share price battering. I think amazon is begin enough to manage and make a pretty decent buck off of their app store and music/book services.